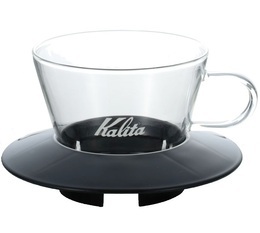 Kalita is a Japanese family business founded in 1958. It manufactures western-style utensils. This company was made world-famous with its flat bottom dripper and coffee filter basket. Even today, the Kalita filter is considered as being one of the best ways to prepare and enjoy coffee. 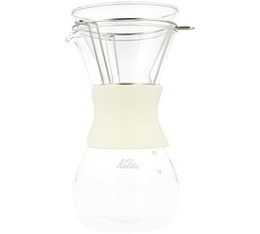 A flat-bottomed porcelain Melitta-type filter to make up to 250 ml of coffee (equivalent to 2 cups). Produces a full-bodied coffee with a light flavour explosion in the mouth.